Whatever the application, C-TEC's XFP and ZFP fire panels coupled with Apollo's XP95/Discovery detectors, interfaces and manual call points are a solid solution for factories, shops, warehouses, offices, hotels and more. By utilising the same timings, voltage, current specifications and type codes of Apollo's original Series 90 protocol, the system's XP95/Discovery platform has stood the test of time. Add to this the benefits of C-TEC's XP95/Discovery compatible fire panels, sounders, VADs and hush buttons and you have a system that is a winning combination all hands down. Clever 'Xpert' card addressing, speedy response times, third-party certification and open protocol availability, what more can a life safety specialist ask? Our super-advanced ZFP 1-8 loop touchscreen-controlled fire panels represent a revolution in fire alarm technology. With a vast selection of panels, modules, controllers and ancillary 'A-Bus' PCBs available, creating your own ZFP experience is easy! Choose from three cabinet sizes, our pre-built off-the-shelf panels or build your own ZFP using our easy-to-use selection charts. Certified to EN54, its powerful programming tools allow systems to be configured to suit any application, from small 'one out all out' systems to large multi-loop networked systems. 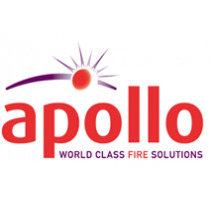 Apollo's XP95/Discovery intelligent fire detection devices include high-performance ionisation and optical smoke detectors, multiple heat detectors and multi-sensors for all types of fire risk or environment. Compliant with the relevant parts of EN54, they are fully compatible with C-TEC's XP95/Discovery XFP and ZFP addressable fire panels. Certified to EN54-11, Apollo's intelligent manual call point is suitable for all types of indoor application. Featuring a red LED alarm indicator and an amber/yellow LED fault indicator, it includes a built-in isolator removing the need for additional isolation devices. A weatherproof version is also available. Utilising the latest advances in sounder and LED technology, C-TEC's EN54 certified addressable Sounder/VADs are compatible with C-TEC's entire range of ZFP and XFP XP95/Discovery fire panels. Three types are available - 'Base' – providing C-3-8 coverage and designed for use as part of a stacked sounder/VAD/detector base combination, 'Hi-Output' – a high-performance W-3.2-8.2 rated wall-mounting range and 'Compact' – a range of six variants offering C-3-8 or W-3-3.1 coverage. All models are available with or without an onboard sounder. Non-EN54 certified visual indicators are also available. XP95/Discovery interfaces are designed to connect sprinklers, door release units, conventional detection and alarm devices and more to an XP95/Discovery fire alarm system. Cleverly designed and easy-to-install, choose from an extensive selection of input output units, sounder control units and switch monitors. A selection of XP95 isolators and XP95 isolating bases are also available designed for sensing and isolating short circuit faults on loops and spurs. C-TEC's Hush Button fire alarm solution is a major breakthrough in the battle against false alarms in houses of multiple occupation. Fully compatible with our XP95/Discovery ZFP and XFP fire panels, they provide residents with the means to silence false alarms themselves should they set the fire alarm off accidentally, helping to prevent unnecessary building evacuations, expensive fire service call outs and the likelihood of a true fire alarm signal being ignored.